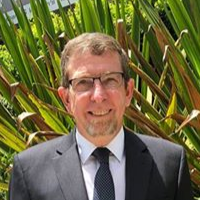 RBWH Foundation CEO Peter Treseder AM is retiring after nearly 10 years at its helm where he oversaw the building of an organisation which has the financial capacity to support the Queensland community for generations to come. Before joining RBWH Foundation, Peter worked for the charity arm of Westmead Hospital in Sydney and fundraised for a range of other charities. Over the past 17 years, he has been involved in raising a staggering $24.3 billion to support the advancement of health care. “I simply don’t like to see people getting sick,” Peter said. Peter said he was proud of his team’s achievements which saw the Foundation grow from a troubled organisation into one of the most successful hospital foundations in Queensland. Peter has many achievements. He has led expeditions to both the North and South Geographic Poles. He has received two Orders of Australia. He is an alumnus of the Australian Centre for Philanthropy and Non-profit Studies, a member of the Prime Minister’s Community Business Partnership which brings together government, community and business leaders to develop practical strategies to foster a culture of philanthropic giving and volunteering in Australia and is a black belt in Zen Do Kai Karate. Simone Garske will be joining RBWH Foundation as its new CEO in December. Simone is a Certified Fundraising Executive who has worked at QUT for the past 17 years. She is also a Director on the Asia Pacific Board of the Council for Advancement & Support of Education. As a leader in higher education advancement, Simone has led and managed teams at QUT which have raised more than $400 million for the university’s strategic priorities. 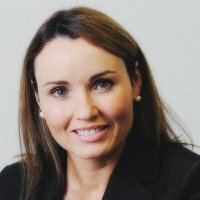 Simone’s recent achievements include the roll-out of QUT Giving Day, resulting in $1.6 million being secured in a 24-hour campaign; building the sector-leading equity scholarship fund to more than $60 million; and the establishment of the most successful staff giving program in the country. The Foundation sincerely thanks Peter for his valuable contribution over the past 10 years and offers a hearty welcome to Simone who will see it through the next stage of its growth. Retiring RBWH Foundation CEO Peter Treseder. New RBWH Foundation CEO Simone Garske.